Mr. Roger Jordan, age 81, of Orange City, passed away on Friday, February 8, 2019, at the Orange City Area Health System. There will be a memorial service on Tuesday, February 12, at 11:00am, at the First Reformed Church in Orange City. The Rev. Mark Haverdink will officiate. Interment will be prior the service at the West Lawn Cemetery in Orange City. There will be a family prayer service on Tuesday, at 10:00am, at the First Reformed Church Chapel. Visitation with the family will be on Monday, from 5:00pm to 7:00pm, at the CHURCH. Roger William Jordan was born on April 24, 1937, at home, in Midland, near Rock Rapids, to Jacob and Hilda (Meinerts) Jordan. He grew up in George and gave his life to the Lord at the age of ten, in a revival meeting. Upon graduation from high school, he left home to serve his country in the United States Army and National Guard, from 1956 to 1961. Upon his return, he worked for Armour & Company and then in the offices at Land O Lakes, both in Sheldon. Roger later became an owner/partner at the AutoDine restaurant in Sioux Center. He also was engaged in farming. Later he worked at Demco Printing in Boyden for twenty years, retiring in 2007. In July 1993, he married Marilyn (Te Grotenhuis) Cooper on Lake Okoboji. They made their home in Boyden before moving to Orange City in 2001. Through the years Roger served in the community and church developing many lasting friendships with his distinct sense of humor. 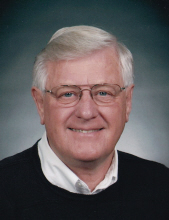 He loved to garden, read, watch sporting events, camp, and spend summers at Lake Okoboji. He also participated in several mission trips and loved listening to gospel music and having coffee with friends. He found pride in his ability to fix just about anything that was broken. He had many building projects, one of which he was most proud, was restoring a pulpit which his grandfather had made, and delivered many sermons from, at the First Baptist Church in George. His greatest joy was spending time with family, grandchildren, and good friends. He had an encouraging word for everyone he met. Roger will be lovingly remembered by his wife, Marilyn, and blended family of four children; Mari Ann, and her husband, Terry Cook, of New York; Mark Jordan, of Chicago, Illinois; Debra Broek, of Orange City; and Kevin Cooper, and his wife, Dawn, of Orange City; eight grandchildren, Kiana Jordan; Eric Beals; Carlie, and her husband, Jake Whiting; Kayla, Kelsey, Ashley, and Amber Cooper; and Michael Broek; two sisters, Elaine Nagel and Miriam Ruth Jordan; a sister-in-law, Peg Jordan; a brother-in-law and his wife, Norman and Rose Te Grotenhuis; three nieces, Lisa Stoltenberg, Shawna Bergman, and Stacy Zupan; along with extended family and friends. In addition to his parents, he was preceded in death by a brother, Nathan Jordan; a sister, Eunice Becker; and two brothers-in-law, Larry Nagel and Bob Barrows. Memorials may be directed to the American Diabetes Association or Kid’s Connection at First Reformed Church. To send flowers or a remembrance gift to the family of Roger W. Jordan, please visit our Tribute Store. "Email Address" would like to share the life celebration of Roger W. Jordan. Click on the "link" to go to share a favorite memory or leave a condolence message for the family.